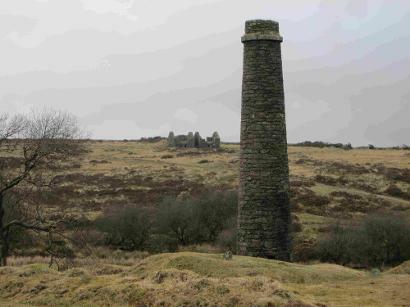 In 1848 the proprietors of the Dartmoor Powder Works began building a storehouse for powder. It was about half a mile from Ashburton at Summerhill. Presumably this is the same as the Plymouth and Dartmoor gunpowder company, which operated from near Postbridge. According to Alan Brunton, this was Devon's only gunpowder factory - he also says that records show that Ashburton was one of the places where the company had a storage facility (magazine). Unfortunately, he does not state where these records are. The Plymouth and West Devon Record Office have letters from CF Williams, secretary of the Plymouth and Dartmoor Gunpowder Co, Plympton St Mary to W J Woollcombe - these are apparently to do with purchasing trees (Ref 933). 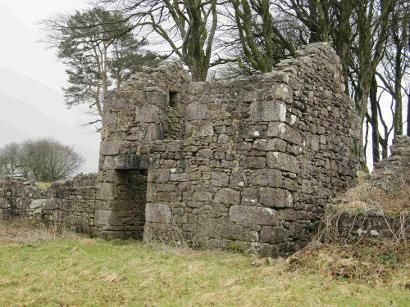 The powder mills ruins, near Postbridge - listed by the Department of the Environment as buildings of Special Architectural or Historic Interest. 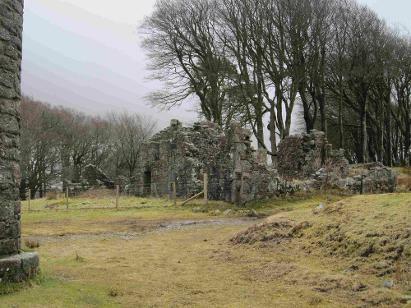 Many thanks to Tom at the Postbridge Information Centre, and Joss at Powdermills Pottery, Postbridge, for their help in accessing the ruins. Below: A proving mortar. To assess the strength of the powder a shot was fired over a measured distance. 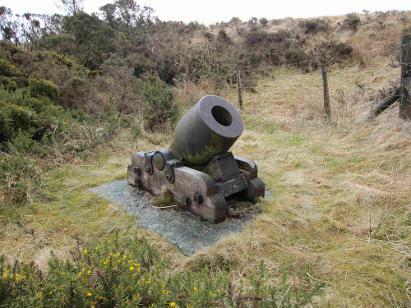 This mortar can be seen beside the drive on the way up to Powdermills Pottery.